So my little guy wanted me to draw a rocket. 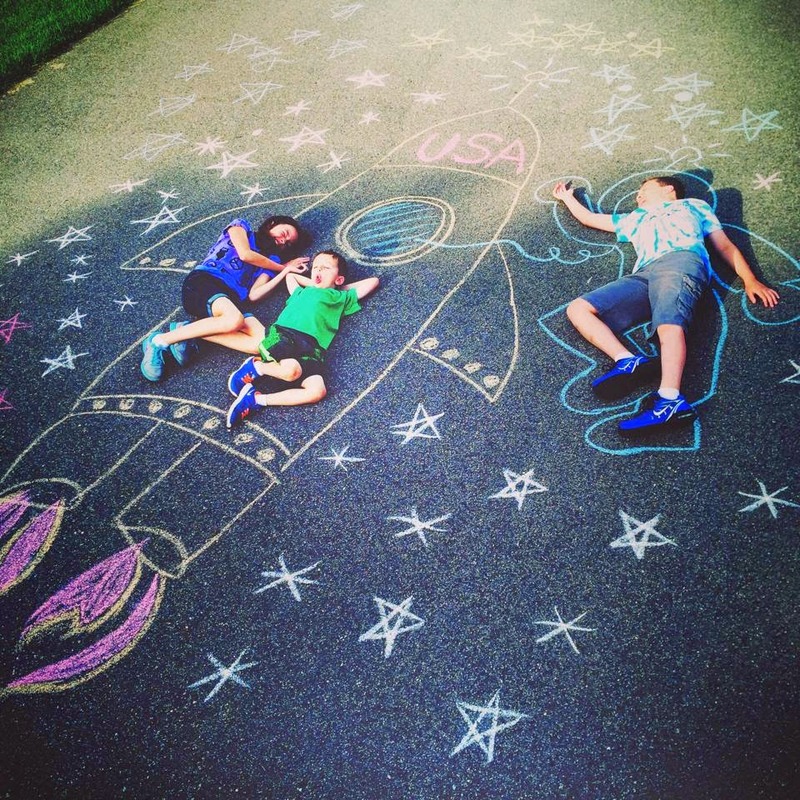 It soon became a giant rocket with a flying astronaut and lots of stars. I had to pull out the ladder to take this shot. The people driving by surely thought I was a crazy mom. But remember, it's my "year of don't care". Just get out there and do things.